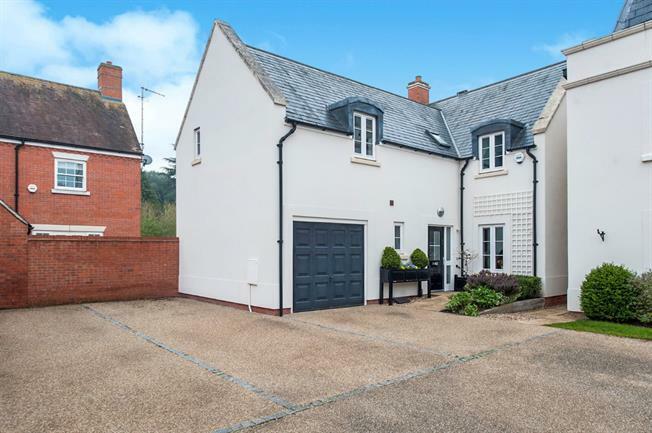 4 Bedroom Detached House For Sale in Stratford-upon-Avon for Guide Price £680,000. A gem set in the heart of the highly regarded village just 3 miles South of Stratford town centre. Positioned as the address suggests adjacent to the village church with a short stroll to the local pub and bus stop taking you straight into the town. The current owner bought this rendered detached home from new in 2007 and presents the accommodation throughout to an exquisite standard throughout. Positioned within a quiet cul de sac within a courtyard setting this lovely home not only boasts spacious accommodation but also a picturesque well stocked landscaped garden with open countryside around. The accommodation allows; entrance hall, cloakroom, sitting room with doors onto the South West garden, study, breakfast kitchen and utility. Upstairs is a master bedroom with dressing room and en-suite bathroom, guest bedroom with dressing room and en-suite shower room, two further bedrooms and a family bathroom. Outside is a enclosed landscaped garden that extends to the rear and side of the property, garage and driveway. Viewing is a must..